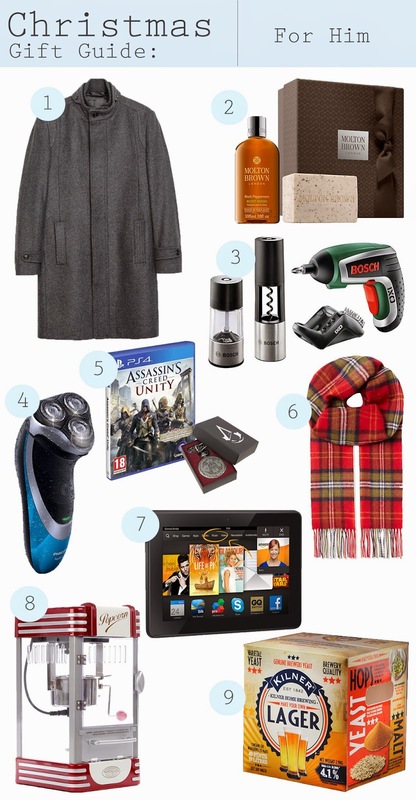 I always think men are the hardest to buy for at Christmas time...well, any time really. There doesn't seem to be as many easy gift options as there are for woman. I tried to round up some of my favourites for this year, with the help of Paul of course. His top choice for any man in your life is Assassins Creed, he tells me it is one of the best games for this Christmas. Mine would be the popcorn maker! I think it would be such a fun gift to receive -or to buy for yourself . The one I have included here is the larger size but it also comes in two smaller sizes, which are also much cheaper.